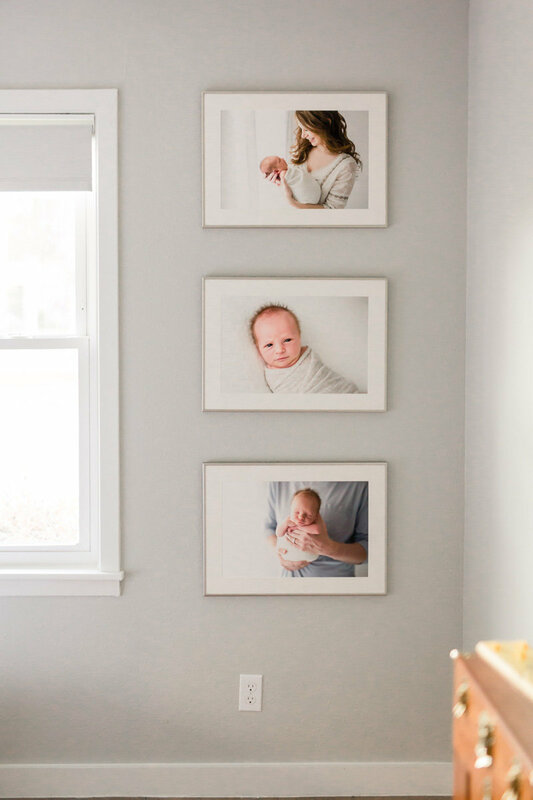 Your child is a masterpiece. 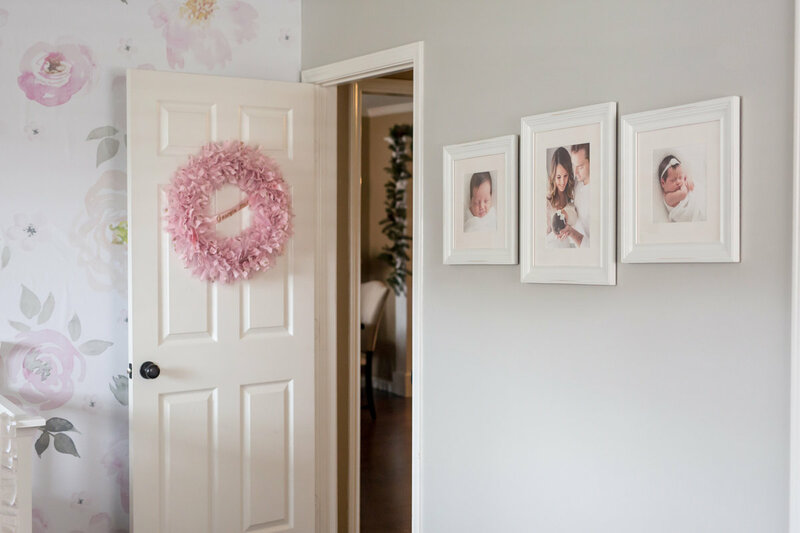 Let’s create artwork to match. 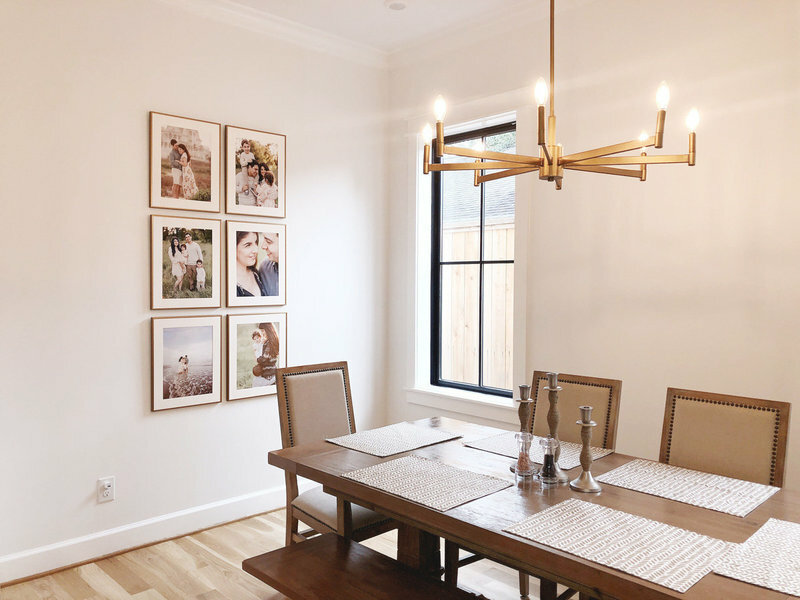 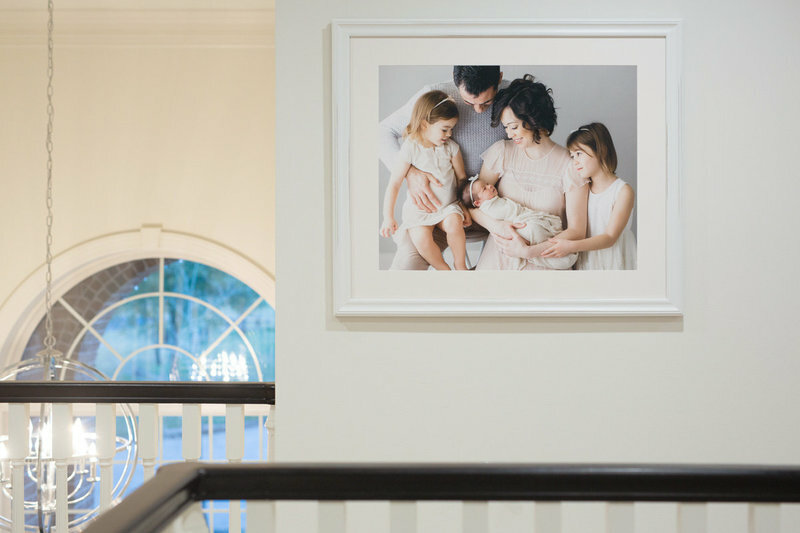 From modern gallery walls and traditional family portraits over the mantle to timeless albums that will be handed down for generations, we create artwork to fit every family. 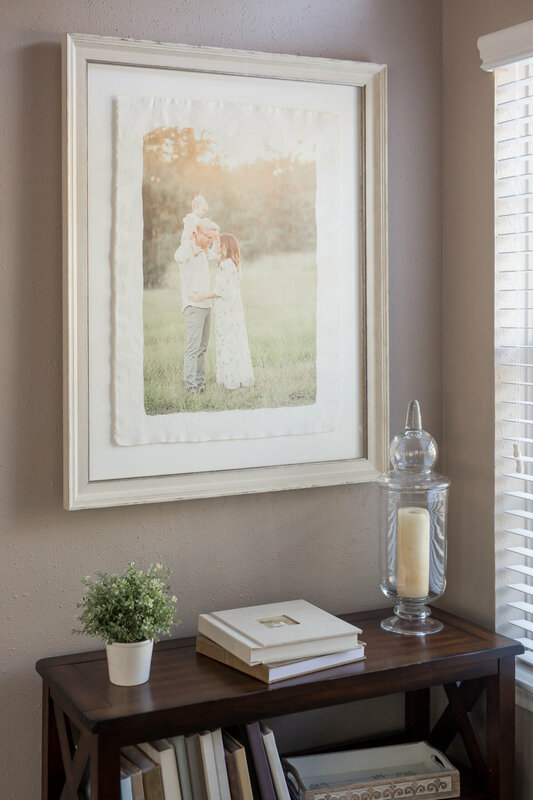 You have inspiration images galore on your Pinterest, but feel stuck when deciding how to put it all together in your own space. 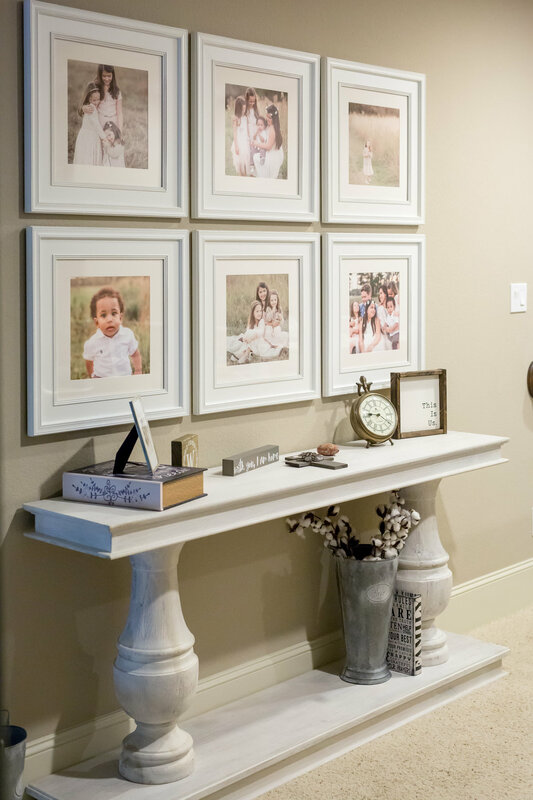 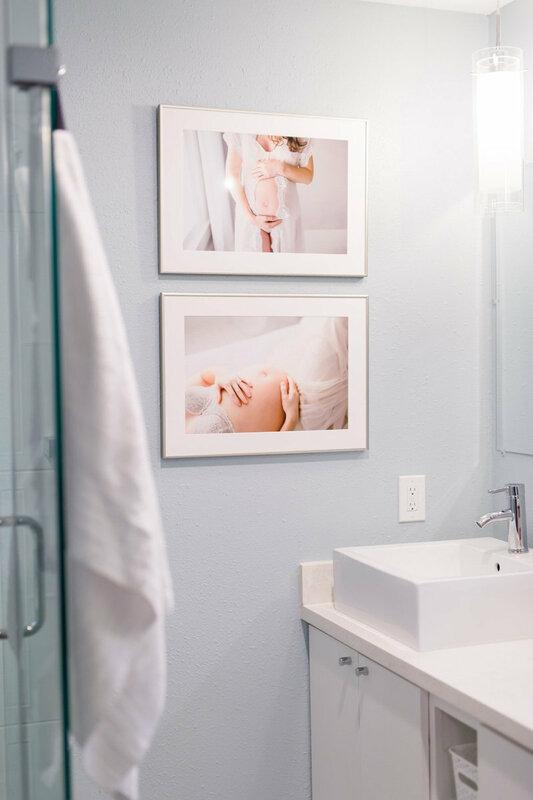 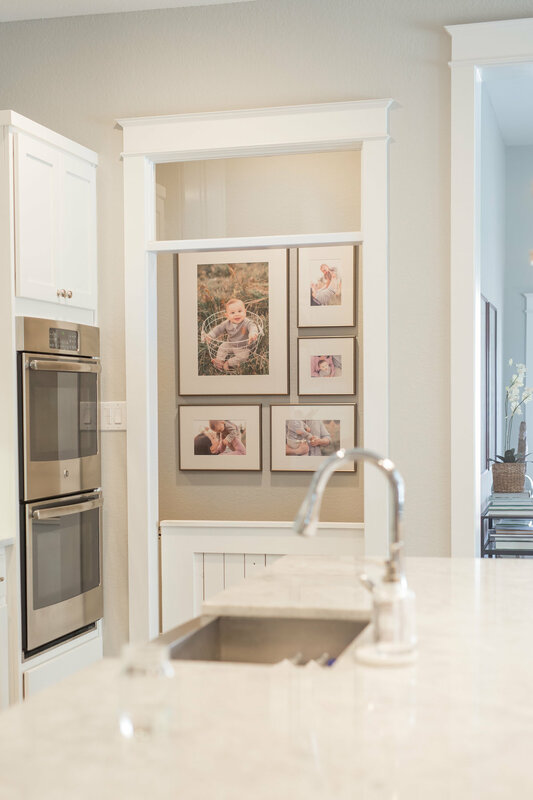 Whether you want to decorate a small entryway or fill your staircase with portraits of your child as they grow, we do it all, taking the stress out of creating those gorgeous displays by designing and installing gallery walls for you, so you can spend your weekend with your family, not searching for a measuring tape. 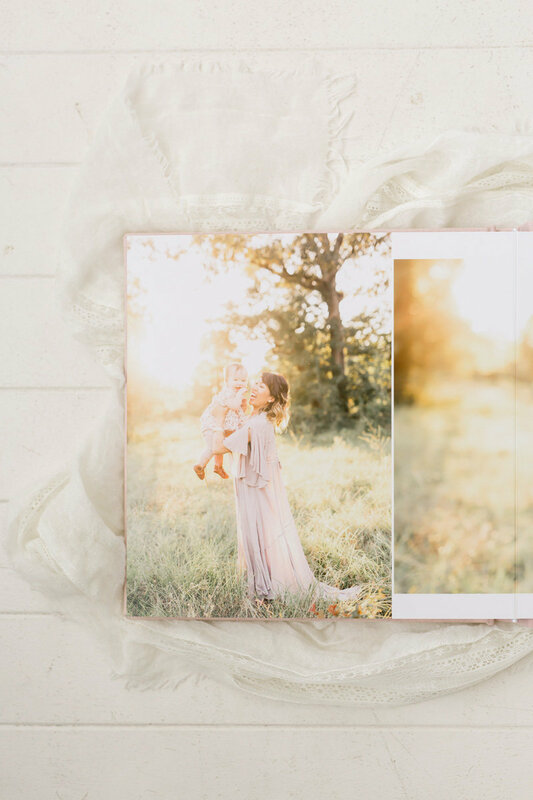 We are storytellers, documenting your child’s biography, and there is no better place for those portraits to live than in the pages of a book. 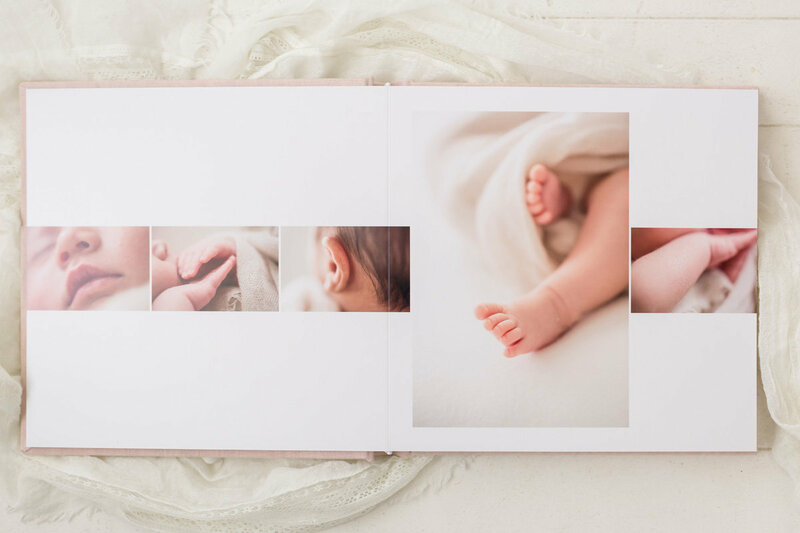 Our albums are crafted to stand the test of time (and sticky fingers!) 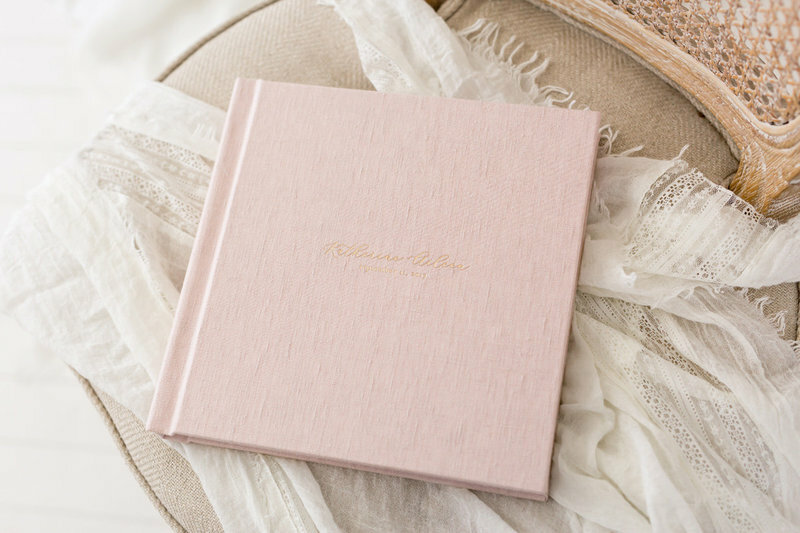 with durable, bend-proof pages and wooden protective boxes. 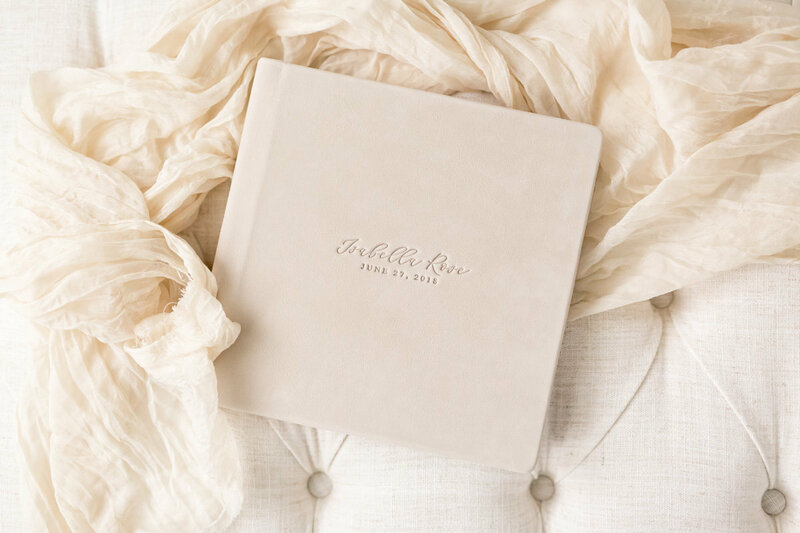 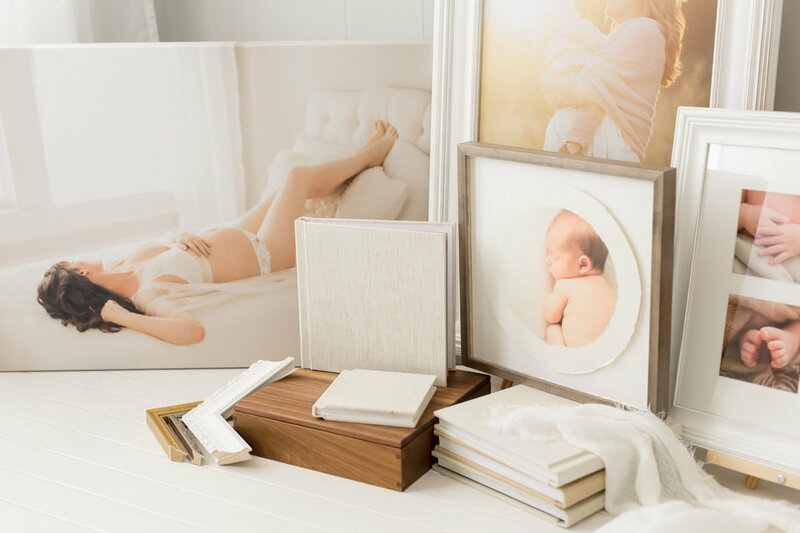 Begin with a newborn album and grow your collection into a volume set for each stage of your family’s life. 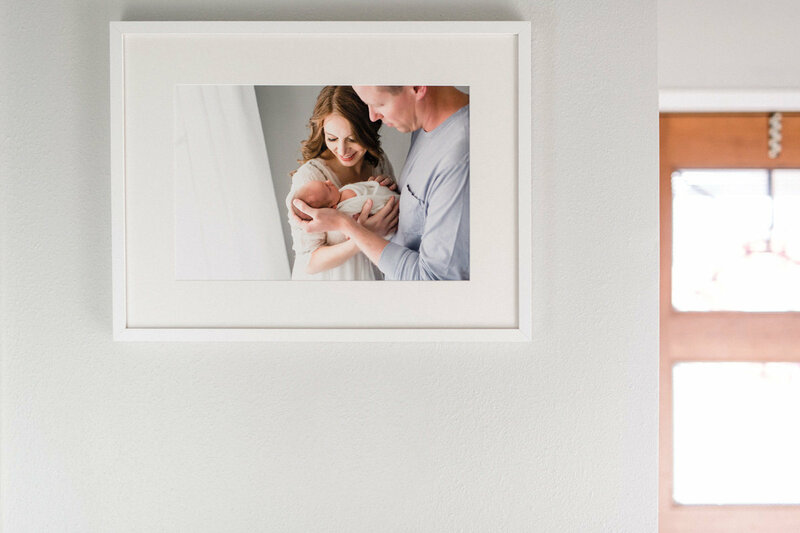 We believe that the best artwork you can have is one that features the people you love the most, and there is nothing more timeless than a beautifully framed portrait displayed prominently in your home. 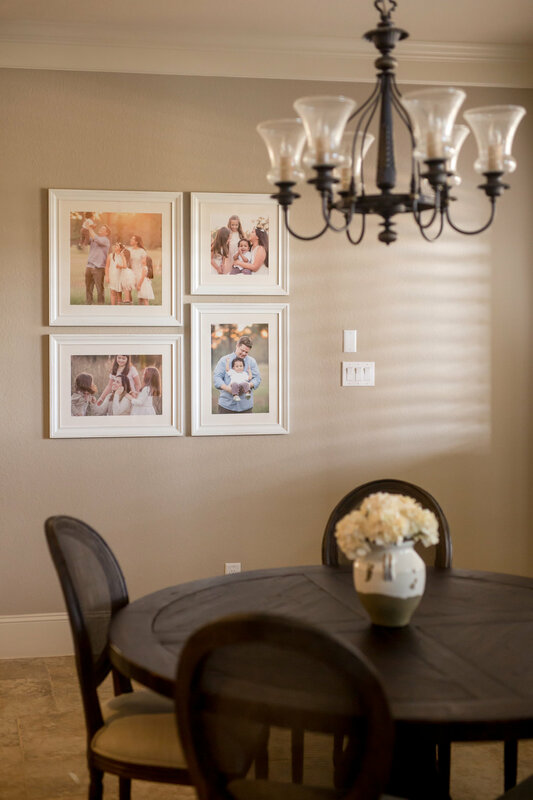 Statement portraits range from ultra-modern to highly traditional, each designed with your family in mind. 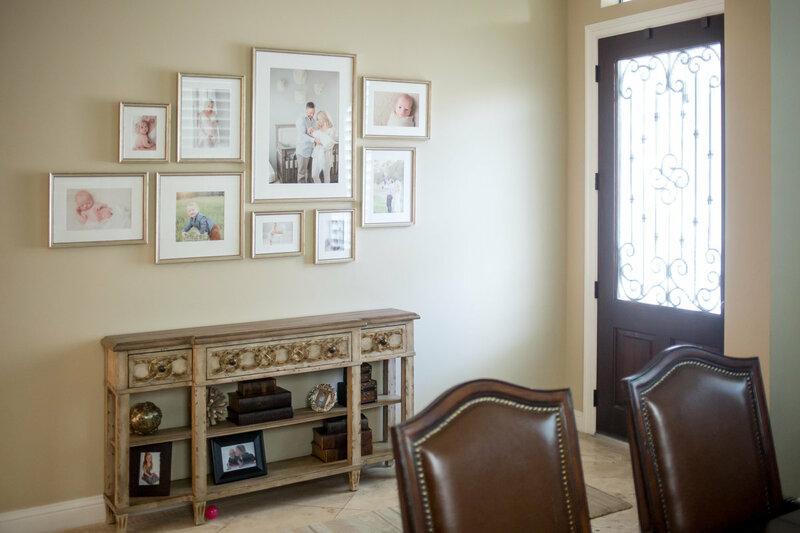 Our team handles all the installation work for you, so your only job is to relax while we do all the heavy lifting.